Getting to the heart of the hills	In which I wonder… just why *is* my memory so hopeless????? I particularly like the look of the Wilde – great cover! The Wilde is very lovely – I liked it best of the two! 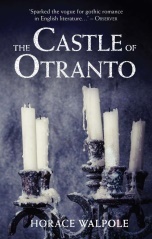 Gawd, Castle of Otranto — *so* *bizarre*. I don’t think it was just my modern conception of gothic in this case. Still, it’s good to understand where things come from (looking on bright side). Yes, very bizarre – but great fun!! I MUST read The Canterville Ghost, stat! There’s a wonderful television version of ‘The Canterville Ghost’ with Patrick Stewart. It usually gets an airing over Christmas and you really should look out for it. I keep promising myself that I will keep an eye open for the publications of smaller presses but somehow I never get round to it. I shall have to start a list and make a concerted effort. The smaller presses do produce some lovely books – less well known stories and in lovely editions. I can’t believe I’ve never read “Canterville” before but I shall look out for TV versions over Christmas! I have resisted so far but may not hold out for long. 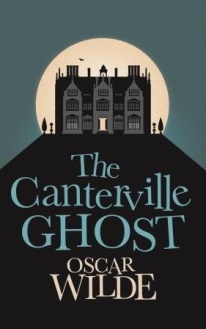 I’ve read The Canterville Ghost and The Sphinx Without a Secret, but not the third story you mention – though I do have a different Oscar Wilde collection which includes that one, so I must read it soon. I’m glad you enjoyed The Castle of Otranto! I read it a few years ago and remember it being a lot of fun to read. Lord Arthur Savile is great – really clever how Oscar plays with the audience’s preconceptions! Hurrah for the Oscar Wilde! It’s been way too long since I read some of his short stories. The stories were wonderful – I really do want to read some more! Yes, it’s suddenly getting to be the time of year for that kind of thing! I think I have a Wordsworth Gothic novels collection somewhere I must dig out! Thanks for the link – most interesting! Yes, the ghost is not a good person by any means, but Wilde does love messing with our emotions. And this is very much a book about clashes of culture!